The Golden Horseshoes Festival is Beechworth’s biggest and most vibrant festival. Every Easter, the town celebrates the history of times gone by, when during the Beechworth gold rush, a local politician had solid 24 carat gold horseshoes made for his horse. Hoping to win votes, he dressed in resplendent attire and rode his horse down the main street of Beechworth, shod with its golden shoes. The Golden Horseshoes Parade is the festival highlight and full of country charm. Floats made by local businesses, schools and community groups proudly walk down the main street to the cheers of thousands of happy onlookers. There are many other events including markets, live music, cooking demonstrations and even a Ned Kelly trial re-enactment at the historic Beechworth Courthouse. 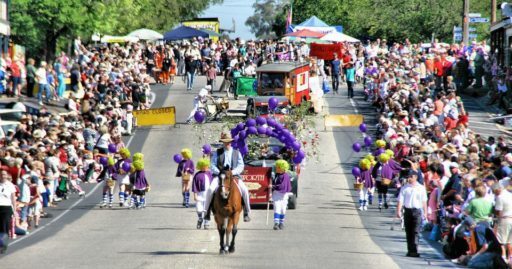 If you’re in Beechworth or the surrounding area over Easter, the Golden Horseshoes Festival has something to keep everyone entertained. ← Fabulous February Deal – 20% Off!